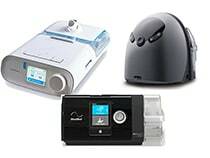 You’ve studied our brilliant articles about the best CPAP machines?and best BiPAP machines out there on the market in 2018.? 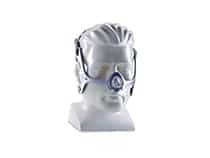 You’ve invested in one and you’ve made your choice from our Best CPAP masks too.? That though is just half of the job.? Because now you must maintain your CPAP equipment.? A big, if not the biggest, part of that is keeping it clean.? You can have a look at arguably the best CPAP cleaning machine on the market, the So Clean 2, it’s a brilliant piece of kit.? But there are also some hacks you need to know!? One such hack is using vinegar to clean your CPAP. Before we come on to what that is exactly, and how to use it, it is worth highlighting how important it is to clean your CPAP gear. Why Clean Your CPAP equipment? Please don?t take offense to this. But you?re filthy.? We all are!? Germs and bacteria are everywhere, no matter how clean your home is.? Next time you use a pen chained to a desk in the bank to sign your name for something, just think how many other hands have grabbed that pen and where those hands may have been!? For the same reason, handling money is one of the lease hygienic things you can do.? No matter how thorough you are with cleaning your home and yourself, you can never live in a totally sterile world. And you know what?? That?s ok!? In fact, it?s a good thing.? You need some exposure to stuff so that your body can develop an immune system, otherwise, we would be sick all the time. But you can?t allow your CPAP machine to become dirty.? If anything starts to feel at home in that equipment, it will soon be inhaled straight into your throat and lungs.? 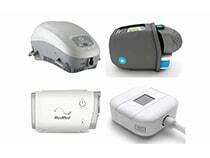 Not to mention the problems if your CPAP machine has a humidifier.? Because what you have there is the ideal environment for those germs and bacteria to flourish.? Warm, damp air is also ideal for mold, and when you look at mold spores under a microscope it is clear you don?t want them in your respiratory system! There?s an additional issue with a poorly cleaned CPAP machine.? Allowing mold to settle and grow will reduce the efficiency of your equipment, and you need that to keep you healthy by improving your sleep.? If you know any cyclists, when they clean their bike they will also de-grease the chain because that build up of sludge and deposits will slow them down.? Same theory for your CPAP machine.? You?re making it harder for it to do its job. This means the treatment you receive isn’t as good as it could be, and you are reducing the life span of your machine. How often should you be cleaning your CPAP equipment? Well, your mask should be cleaned daily.? Yup. Everyday. We don?t mean a full dismantle and thorough clean every day, but at the very least a wash with soap and hot water.? This may seem like an effort, but it is totally worth it. The warm, damp air is the perfect condition for nasty things to establish themselves and get comfortable very quickly!? Cleaning the rest of your kit should be done weekly.? And if you don?t believe us, just feel free to have a sniff of the hose after about a week of use.? Yummy. Some warnings about cleaning your CPAP equipment. 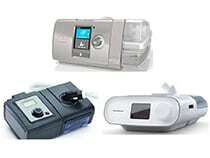 use any kind of alcohol based substance to clean your CPAP equipment.? This is way too corrosive and will again ruin seals and begin the decay of your kit. It is vinegar’s acidity that makes it such a good disinfectant and cleaning agent.? It has the ability to kill a lot of unwelcome bacteria and germs because it creates such a hostile environment.? ?It will also cut through deposits and build ups of, well for want of a better word, ‘icky’ stuff.? Be aware though, it is not a registered disinfectant and some of the more dangerous and stronger strands of some bacterias are still resistant to it.? These are rare, but it is worth noting that you are not giving yourself 100% protection from everything by cleaning your CPAP equipment with vinegar.? That’s our disclaimer bit done! thoroughly clean a small bucket, bowl or tub. Hot soapy water is needed here. Rinse off. create your vinegar cleaning solution; use 2 parts white vinegar to 3 parts water. put your hose and mask in the solution and leave to soak.? A minimum of two hours is recommended. once you have finished soaking it is vital that you rinse thoroughly.? The smell of dried, stale vinegar can be pretty pungent!? 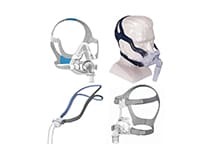 Some CPAP users take their hose and mask into the shower with them to help rinse off the excess.? But as long as you do rinse it thoroughly, it doesn’t really matter how it is done. Allow to dry naturally.? Any unnecessary direct heat will risk distortion of the seals and will prematurely age your CPAP equipment. 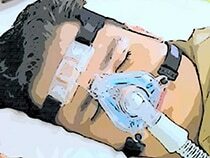 So that’s SnoringAB’s guide to cleaning your CPAP with vinegar.? It’s definitely worth taking a look at our review of the So Clean 2 because if you’re really serious about keeping your CPAP machine clean this is arguably the best way to go.? But using vinegar has some really good, and way cheaper, results.